Sometimes I feel like my head will explode from the size of my mental ‘to do’ list. While I’m feeling that quite regularly these days (with only six weeks until my 2012 Europe adventure), I also feel glad that once this prep has been done, there is nothing but travel, travel, travel for nine months! 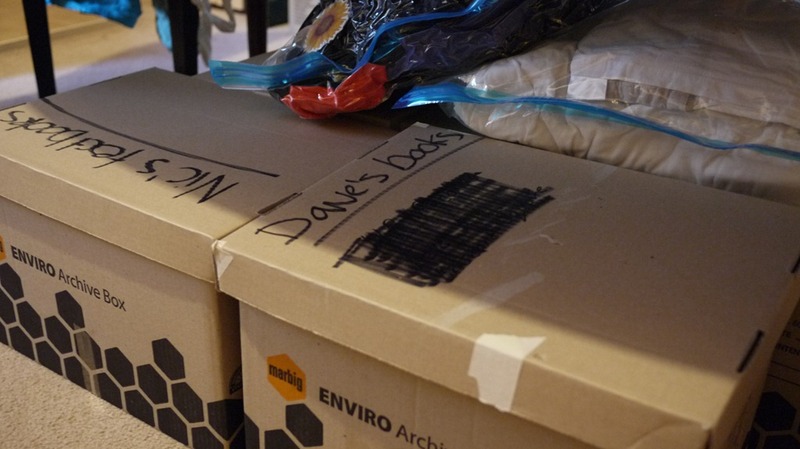 The most confronting part of packing up my life is deciding where to start… and then staying focused. Being a someone who responds well to visuals, I have found myself breaking down this daunting task with lots of about-the-house cues. At the moment my world is filled with stacks of boxes, piles of clothes, lists (yes, more than one), mind maps, geographical maps, spread sheets, research documents, travel books and lots of bags waiting to serve their purpose in life. It is quite possible that I am a little too ‘organised’, but nonetheless, I thought I would share some of my key preparation processes with you. As much as I like winging it when I get to my destination, I am a big believer that you can never do too much research before a trip. Read lots of travel blogs to get insight on the how, what, why, as well as the feel of a place. Travel is about people as much as the places and travel blogs really do give travel research that much needed human quality, especially through the comments. Check out my blogroll for some great travel blogs. 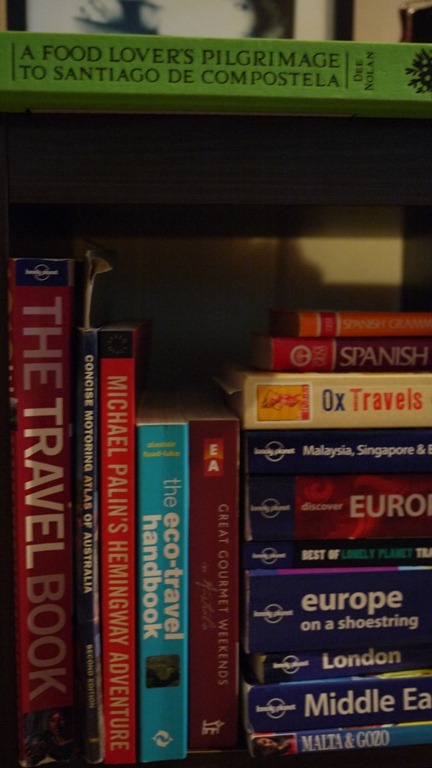 Get the basics from your travel guides (online or old school, aka books). I really should buy shares in Lonely Planet with so many of their books on my shelf, but even if LP is not your thing, find a source that is reliable and read up on climate, budget, transport, visas, health and etiquette. Use Smartraveller to source essential travel safety advice and general visa, health information. Then go to the consulate websites for countries you will be visiting to get the most up to date visa and travel information. They can be more difficult to navigate, but the info there is what you should be trying to follow. Ask your doctor about travel shots, prescriptions and medical kit contents. Keep in mind that the more exotic places (e.g. Africa, Asia, South America) usually require more vaccinations, some of which need to be given over a course of a few months. Also consider the need for medical certificate to travel with certain medications. Use online forums such as Trip Advisor and Thorn Tree to chat to other travellers about how they’ve done it. ‘Things I’m giving away or storing or selling’ list. 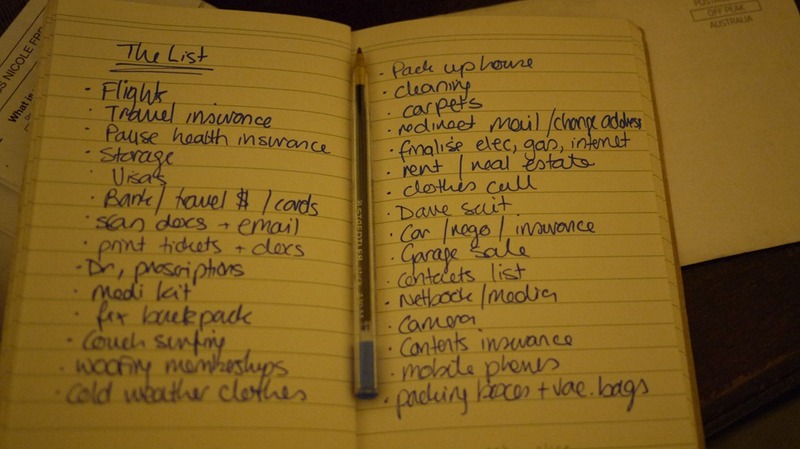 I personally prefer the good old hand written list that I can put on the fridge (or strategically leave on Dave’s pillow), but you can also ‘to do’ your way into preparedness with the phone list, email list, spread sheet list, bathroom mirror list… or all of the above. Oh the possibilities. Dave has been quoting The Ramones for weeks now and, I have to say, the message is starting to sink in. As a notorious hoarder (Yes, my name is Nic and I am a hoarder), I struggle with this part of the plan. But I have found a couple of ways to get the job done. Give away all the clothes you forgot about. Admittedly, this is a lot harder than it sounds, but I found that bagging up scarcely-worn clothes for a month before giving them away really helps fortify resolve. My first give-away target was my family (I always loved hand-me-downs from cousins and aunts). Then there is the options of friends or a clothes ‘swap’ party, a garage sale, or the closest charity shop. My mantra: it won’t all fit in your backpack and you will have forgotten about most of it after wearing the same travel clothes for months. Clear out drawers. If you’re anything like me, you’ll find there are whole worlds of forgotten goods in drawers throughout the house: ticket stubs you never scrap-booked, out-of-date takeaway menus, mail that you didn’t really want to read the first time… lots of unnecessary stuff to eliminate. Box up all the distractions – the things you won’t need before you go. For me this is books, art, games, trinkets… all the fun little things about the house that distract me from the task at hand. Make piles of things that will end up in the same place – clothes for the backpack, drugs for the medi kit, bills to be paid, books to be read… your house may look a little odd but when you’re packing up around it, things will become a lot simpler. Dedicate a space to the things to be taken overseas. For me, it’s the bed in the spare room where are backpacks sit open, expectant, ready to be filled with the core essentials that will facilitate out every need while travelling (at least that’s the goal). 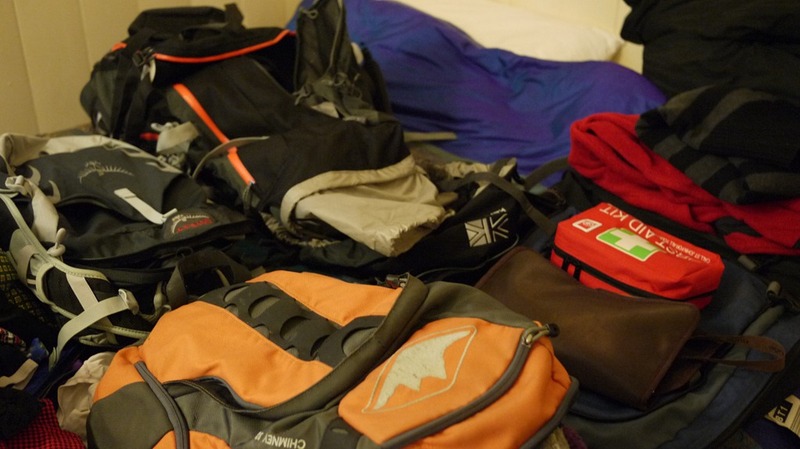 I also find it useful to practice pack the backpack a number of times – I think my first trip ATW had me repack 5 or 6 times as it was too full and needed to be changed around! Slowly getting better at it but usually pack at least twice in the week leading up to trip – works for me! I like that system Anita. It appeals to my slightly compulsive organising streak. 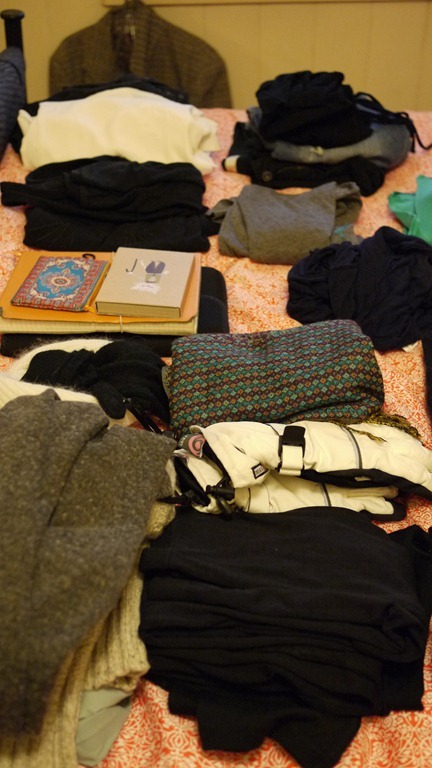 I’ve got my pack and planned contents on the spare bed but am yet to put in all in… that may be a task for this week. Thanks for reading and sharing your tip!